Union minister Maneka Gandhi took the initiative but the plan has gone into cold storage with the environment ministry yet to respond to a letter from law ministry. New Delhi: The Centre had considered the idea of having a uniform cattle protection law in the country at the instance of union minister Maneka Gandhi earlier this year but could not implement it because of a lack of response from the environment ministry. The move came months after the Modi government was forced to water down the controversial animal market rules after they kicked off a political storm. In April this year, Gandhi had requested law minister Ravi Shankar Prasad to refer the matter of “making a uniform law for protection of cattle” to the Law Commission. The idea was to harmonise the various state cow protection laws and put a check on what was termed as “unrest” and “anti-national activities” caused by alleged smuggling of cattle. Following this, the law ministry had also written a letter to the environment ministry seeking its view on the matter. But the latter is yet to respond. The Prevention of Cruelty to Animals (Regulation of Livestock Markets) Rules, 2017, which notified a ban on sale of cattle for slaughter, had met with severe backlash from not just civil society groups for what they perceived to be a nationwide ban on slaughter on ideological grounds, but also from several state governments. The states had argued that the issue of sale and slaughter of animals was in the purview of the state list – an issue that can be circumvented if a uniform cattle protection law is brought in the country. Touching upon the issue of smuggling of cattle from bordering countries, Gandhi wrote, “The smuggling of cattle through the Bangladesh border and illegal cattle transport is leading to unrest in many parts of India. “There have been suspicions that this organised crime is also linked with anti-national activities and the state agencies are required to involve the civil society for implementation of law,” she added. While in 2015, the Supreme Court had laid out a set of recommendations made by the home ministry in this regard, there is still considerable ambiguity in terms of constitutional provisions for making such a uniform law. It is for this purpose that Gandhi had sought the views of the law panel. Days after the law minister acknowledged Gandhi’s letter in May, law secretary Suresh Chandra wrote a similarly worded letter to the environment ministry seeking its views on the issue. However, in the absence of a response from the environment ministry, the proposal for a uniform law has gone into cold storage for now. 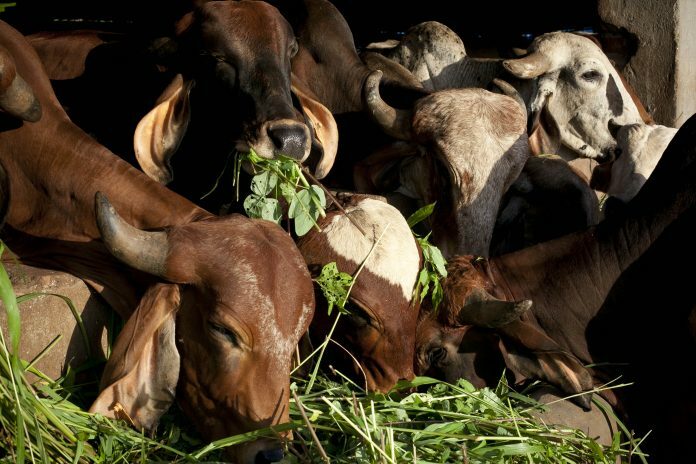 The environment ministry has been treading cautiously on the sensitive issue of slaughter and protection of cattle after it was forced to withdraw the controversial cattle trade rules in October 2017 following severe backlash. Earlier this year, the environment ministry modified last year’s rules by removing the word ‘slaughter’.